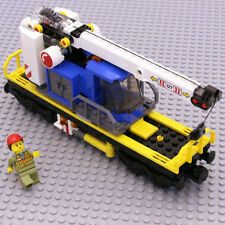 Lego Cargo Train Crane Wagon from 60198. Included: Lego to build the wagon. New genuine Lego. "International Signed" parcels cannot be sent to PO boxes except in the Middle East and Africa. International Signed. 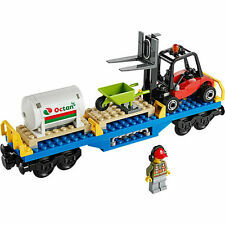 Lego Cargo Train Forklift and Octan Wagon from 60052. Included: Lego to build wagon, forklift truck. New genuine Lego. "International Signed" parcels cannot be sent to PO boxes except in the Middle East and Africa. Lego City 8402 and Lego Atlantis 8057. These Items have been built just once. All the pieces have been matched against the instruction manuals to ensure they are complete. Also includes any spare pieces that came with them. In very good clean condition. Each play set has been bagged separately, however no original boxes! All items are listed as I see them with any flaws or blemishes that I can see and any that are not listed or mistakes in the listing are a genuine mistake on my part and not intended to deceive. From pet and smoke free home. Any questions please message. See photos for what you will receive. Part No 60219. Slope, Inverted 45, 6 x 4 double with 4 x 4 cutout and 3 holes. Good clean condition. Pre owned. No original box or instructions are included. 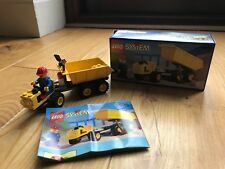 Split from the Lego set 35529. LEGO Movie 2. Straight from the box to plastic bag. 45 X Lego 2412 Tile modified 1 x 2 Grill. Radiator Blue CITY CREATOR SPARE PARTS.